Who’s at the helm, so to speak, when it comes to steering the physical and emotional well-being of the residents in the right direction? Having a Medical Director on staff indicates the community is dedicated to serving both the physical, as well as the mental/emotional, health of their residents – and has the leadership in place to do so. This requires beautiful grounds, community gardens, recreational and creative opportunities as well as safely organized outside trips into the community. Do People With Dementia Know Something Is Wrong With Them? Seeing a loved one develop Alzheimer’s or dementia can be scary and confusing. Their behaviors can be misunderstood or not make sense to you. Maybe during a recent visit to your aunt’s house she insisted you help her find her winter gloves and boots – in the middle of July. Or maybe she didn’t remember your name at all or thought you were someone else from the family. These types of scenarios aren’t uncommon, and many people wonder if their loved one knows something is wrong with them. And what if they don’t understand – should you try and convince them? Do They Know They Have Alzheimer’s? Alzheimer’s disease progressively destroys brain cells over time, so during the early stages, many do recognize something is wrong. They may know they are supposed to recognize you, but they can’t. Imagine how frustrating and scary that would be. Red Johnson, an 86 year-old living with Alzheimer’s, explained to his daughter, Nancy, how it feels to live with the disease. I love my family. My daughter-in-law and son-in-law; my grandchildren and great-grandchildren; my in-laws; and my nieces and nephews. I might not remember their names. I might be tongue tied when I try to talk with them. But, I still love them. Do you know how dumb it feels when you “know” the person talking with you is an old friend and you can’t remember their name? I know something is wrong with me, and I hate it. Don’t look “through me” just because I can’t remember your name or am mixed up about what day it is. Don’t ignore my needs because you think it doesn’t matter. Red’s story is a great insight into how it feels to know you are suffering from memory loss and how painful it can be. Read the full story on alz.com. Some people may not understand they have Alzheimer’s or dementia. There are cases where people don’t recognize anything is wrong. You may hear this referred to as anosognosia which is thought to be the result of a cell damage in the right pre-frontal lobes and the parietal lobes. This can happen during a stroke or as cells decline due to Alzheimer’s and dementia. Caregivers and family members may notice obvious changes in someone’s behavior, physical or mental limitations while their loved one remains adamant everything is fine. Anosognosia isn’t denial, it is a medical condition. Caring for anyone living in cognitive decline is challenging. Caring for someone who doesn’t recognize they are ill can add to that challenge. They may refuse to take medications because they don’t think they need them, or become angry when told they can’t stay home alone or drive to the store anymore. Convincing someone there is a problem won’t make them believe you, so try to avoid arguing. It doesn’t help them understand the situation, and can also lead to agitation, distrust and fear – all common side effects of Alzheimer’s and dementia. 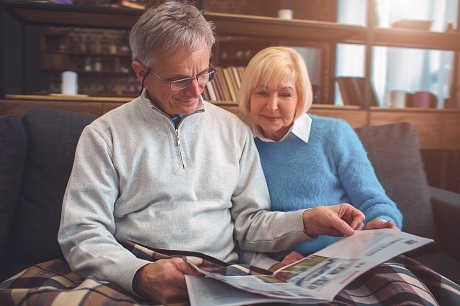 Read tips from The Memory Center on how to communicate with someone living with cognitive decline and how to keep them safe. Keeping a schedule is important when caring for someone with Alzheimer’s and dementia. While every day is different, a routine that is based around activities that help promote movement and inspire purpose are important. See what a typical day At The Memory Centers in Richmond and Virginia Beach looks like and what activities we suggest you include or contact us for more information about our programs. Alzheimer’s and dementia will affect everyone at some point. Whether it is a friend, neighbor, parent, loved one or you work with as a caregiver – someone you know, love or care for will be impacted. Even though the statistics are scary it is important to stay informed. The more you know about Alzheimer’s and dementia the more you can recognize early warning signs, separate Alzheimer’s facts from myths, or learn how to handle the emotional diagnosis of a loved one. 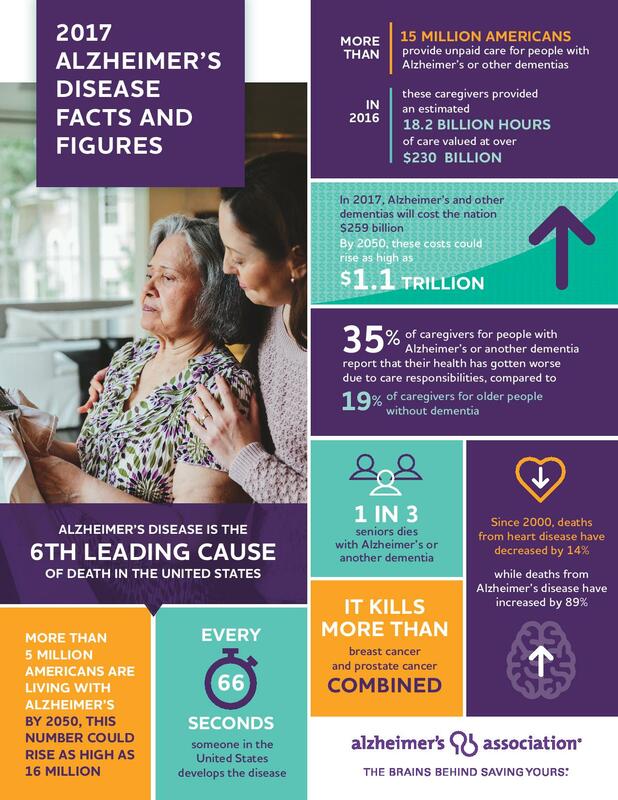 The Alzheimer’s Association reports more than 5 million Americans are living with the disease and someone in the U.S. develops the disease every 66 seconds. This is why The Memory Center communities are dedicated to providing care specifically to those living with Alzheimer’s and other forms of dementia. 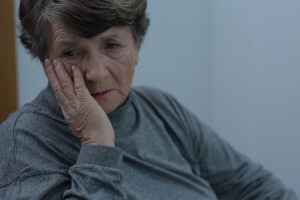 People with dementia struggle to separate memory from the physical state of present-day living and research shows meaningful, structured activities focus and engage the aging mind, which eases common symptoms of boredom and agitation. All Memory Center programs are designed to inspire purpose, validate actions and invigorate while providing the highest quality of life for residents. Contact us to get more information on our programs in Virgina Beach, Richmond, VA or Atlanta, GA. Or read more about our structured daily activities designed to help people with Alzheimer’s and dementia to live well. Millions of Americans are living with Alzheimer’s or other forms of dementia. As more of the population reaches age 65 and above, instances of the disease continue to rise. Alzheimer’s is a progressive disease that causes memory loss and behavioral changes that eventually leaves the person unable to safely care for themselves. In the early stages of the disease many spouses and family members prefer to care for their loved one at home, but as the demands of the disease increase often residential care will become necessary. While family members want the best for their loved one, the cost of care is a very real consideration, and memory care can be expensive. The cost of living in a memory care facility depends on several factors including private vs. semi-private room, cost of living in the geographic area, level of care needed, medical supplies and more. While there is not one specific price for memory care, SeniorHomes.com compiled the average cost of memory care by state. The reported median cost of memory care in Virginia was $4,100 per month. Keep in mind this means some facilities will cost less and some will cost more. When gathering information or touring residential facilities find out exactly what is included in the monthly cost. These costs vary from one facility to the other so knowing what is, or isn’t, included will help you accurately compare and avoid surprises later. The Memory Center in Virginia Beach and Midlothian/Richmond offers an all-inclusive rate so families know what to expect. There are several options for memory or dementia care in Virginia. The Memory Center communities provide care solely for those living with Alzheimer’s and other forms of dementia. Founded as the first assisted living facility devoted specifically to memory care, our program is designed to meet the challenging conditions of an aging brain with a caring, interactive community. Utilizing the latest in science, nutrition, and interactive therapies, our daily structured activities provide meaningful purpose to those with memory loss. All Memory Center communities are built around our original Town Center and Neighborhood layout and feature focused programming and daily activities. We get to know each resident for who they are today – not who they used to be. Contact us to learn more about the cost of memory care, or find out more about our programs and what to a typical day looks like in our assisted living facilities. Caring for someone living with Alzheimer’s or dementia is challenging. Every day is different and presents new situations that can leave caregivers wondering how to handle a social situation, the best way to bathe someone with dementia or what to do when they refuse to take their medication. As the disease progresses so does the level of care needed can lead to more questions. To help caregivers and family members, the Alzheimer’s Association offers a number of resources including message boards where you can connect with others or ask questions, and many educational courses that are available 24 hours a day. Courses include everything from Understanding and Responding to Dementia-Related Behavior which covers some common triggers for behavior, how to assess the person’s needs and respond more effectively to Legal and Financial Planning for Alzheimer’s Disease to review important legal and financial issues to consider, how to put plans in place and identify local resources that may help cover the cost of some care. Other topics include resources for caregivers broken out by stages of the disease, how to handle difficult conversations such as driving or staying home alone and many more. If you are caring for, or have a loved one, with Alzheimer’s or dementia take the time to learn more about these important topics. As a caregiver it can help you become a more confident, better understand the person’s needs, or stay connected with others who are facing the same challenges. For those whose loved one is cared for in a residential facility, like The Memory Center, there are still questions as it relates to their care. We encourage all our families to stay involved, ask questions and educate themselves on the disease and how it progresses. Read more about our approach to caring for those living with Alzheimer’s and dementia in our specially designed memory care communities in Midlothian and Virginia Beach, VA. When Should You Start Looking For Alzheimer’s Care? If you are caring for a spouse or family member with Alzheimer’s or dementia, you know first-hand how much time and effort it takes to keep them safe, fed, bathed and engaged in daily activities. Alzheimer’s disease affects not only memory, but behavior, bodily functions and other systems. It is a progressive disease that eventually leaves the person unable to safely care for themselves. For many caregivers there comes a time when they realize they need outside help or to find a residential care facility. Plan for care as early as possible. Even though it is an emotional and scary time, ideally you and your loved one should begin discussing care options when the disease is first diagnosed. Get legal and financial documents in place and determine what services are covered by your health insurance so you can develop a plan to pay for future Alzheimer’s-related care. During early to mid-stages of the disease some caregivers hire nurses or health-care aids to help out at home. This helps loved ones remain at home longer, gives caregivers the breaks they need to rest, get some exercise or catch up with friends. There will probably come a point when part-time help at home isn’t enough and care in a residential facility becomes necessary. Even though most caregivers find it a hard subject to discuss, it is important to research residential care options early, even if you think you might not need them. Don’t wait until a crisis to find Alzheimer’s care. Many caregivers wait to research residential options until there is a crisis. Maybe mom fell and injured herself. She’s in the hospital, but when she gets out she will need 24-hour supervision, help getting out of bed or in the shower and her adult children can’t be with her at all times. Another common scenario are spouses who serve as primary caregivers but aren’t physically able to lift their loved one to provide the care needed. The possibility of injuring themselves, and the safety of their spouse, becomes a real concern. When panic sets in, trying to find a community where someone can move in right away is not always a good idea. 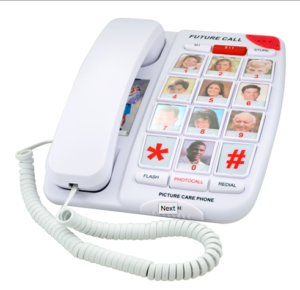 It limits your choices as many residential care facilities have waiting lists. In a crisis situation you may be forced to take what you can get. Choosing a facility for your loved one is an important decision. Being forced to make a choice too quickly can mean you settle on a community that isn’t what you had in mind, and doesn’t provide the peace of mind you need. It could be outside your budget, too far from home, or just not a community you feel comfortable with. 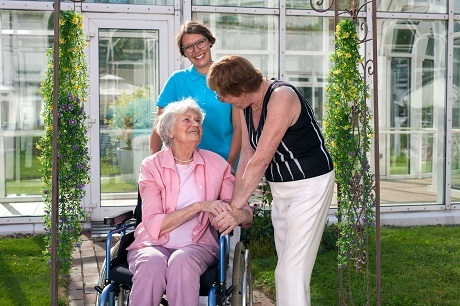 Tour several residential care facilities early, even before you need them. When you find one that is right for you get on the wait list if possible. Even if they don’t have a wait list when you tour, it doesn’t guarantee a space will be available when you need it. Most assisted living and memory care communities require a deposit to secure a spot on the waiting list. Deposit amounts vary so make sure you fully understand the deposit amount and the refund policy. In most cases, deposit amounts are refundable if you end up not needing residential care. What If A Space Is Ready But We’re Not? This is a common question. Again, make sure you fully understand the policies your chosen community has in place. In almost all cases if a room becomes available and you aren’t ready to move in, you can remain on the waiting list and the community will contact you when the next room becomes available. As a caregiver it can be very hard to finally make the decision to accept the space and move your loved one, but there are benefits to moving before their health deteriorates further and becomes a crisis, as outlined above. 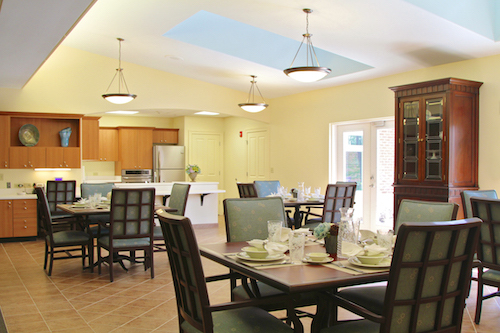 The Memory Center communities in Richmond and Virginia Beach provide exceptional care for those living with Alzheimer’s and other forms of dementia. Founded as the first assisted living facility devoted specifically to memory care, our program is designed to meet the challenging conditions of an aging brain with a caring, interactive community. Our custom programs and activities are designed to inspire purpose, validate actions and invigorate while providing the highest quality of life for residents. Functional and fun are key components of our activities – and we encourage family members and spouses to take an active role in their loved one’s care or join us for daily activities. Read more about Alzheimer’s and dementia care or ask us a question or schedule a tour.